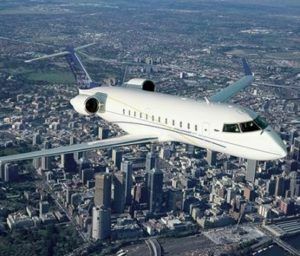 For those in the business world who charter private jets, there are a great number of options to choose from. But you surely want to go with a company that is safe and reliable, committed to placing your needs first and delivering on their promises. NJBIA member Chief Executive Air, founded in 2003, more than fits that bill. Under the leadership of Jeffrey Menaged, a graduate of NYU’s Stern School of Business, CEA is a market leader in providing worldwide private jet charter services. This is driven by their corporate culture where the staff is “empathetic, flexible, inventive and able to deliver on even the most impossible request when it comes to a customer demand.” Menaged believes that the customer is always king and a trademark of CEA’s success rests on their ability provide an excellent product with legendary customer service – whether it is a gourmet meal, special beverages, in-flight entertainment, or any other amenity, in-flight or on-ground. What factors make CEA a market leader? Let’s take a closer look. Pricing: Pricing for charters can sometimes become confusing with many technical terms and hidden fees where even a seasoned traveler is unsure how much they will pay. CEA simplified this process with their “Charter Jet Price Guarantee,” which means that the price you are quoted is the price you will pay. Meals: A well-stocked beverage cabinet and a full array of light snacks is part of every flight, but it goes way beyond this. Any number of delicious in-flight meals and superb wine pairings are available, either through their relationship with some of the world’s most celebrated chefs (Mario Batali, for instance), their expert caterer or one of CEA’s partner chef’s restaurants or a restaurant of a client’s choosing. Amenities: All of their jets are equipped, at minimum, with Airshow flight tracker, CD, DVD and VCR players, including film and music libraries. In-flight phones, Direct TV®, Internet and fax access are also available on some private jets. Special Events: Whether it’s following your favorite professional sports team or band, or wanting to travel to an exotic location, CEA can make such an adventure come true. The Super Bowl, World Series and Stanley Cup Finals, with tickets, are all easily within reach. Inventory: CEA has access to a great fleet of jets to choose from, which includes long range, full size, super mid-size, mid-size, light cabin and turbo prop. All the big brand names are here including Gulfstream, Learjet and Falcon. So whether there’s a need to accommodate a large group with full flight attendee service or a smaller party with a smaller crew, many options are available. Private Jet Range: The number of estimated miles/hours that a jet plan can travel without refueling. This will vary according to flight plan and the combined weight of the passengers and luggage. Private Jet Cruise Speed: The average speed the jet will attain when reaching flight plan altitude without “pushing” the aircraft. Congratulations to Chief Executive Air for all their success to date. To learn more about them visit their website or Facebook page.